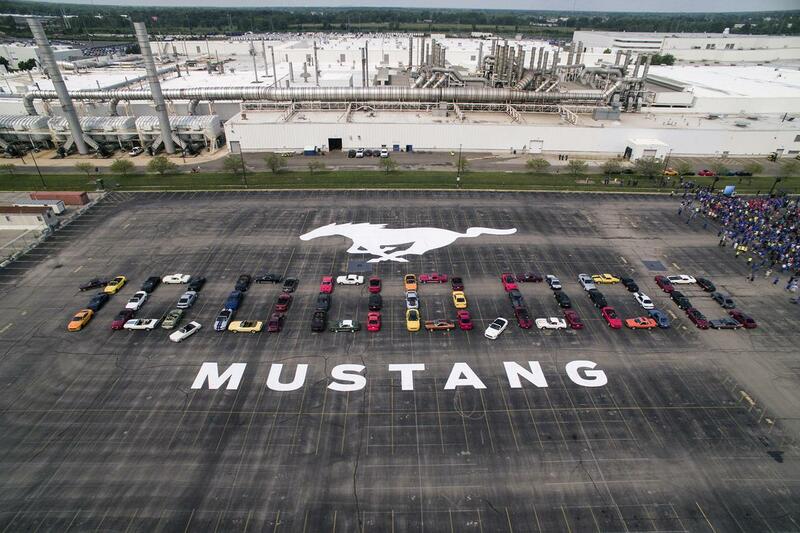 the 10 millionth mustang ford has built since the iconic pony car debuted in 1964 rolls off the assembly line today, a wimbledon white gt convertible with a six-speed manual transmission — identical to the first production mustang in color, trim and transmission type, although the '64 model only had three speeds instead of the modern six. the cars' v-8s differ, as well: the 2019 mustang gt's v-8 has 460 horsepower, while the model-year 1964.5 v-8 had 164 when new. 1968: "bullitt" hits theaters, starring a mustang 390 gt and some guy named ... *checks notes* ... steve mcqueen? 1969: boss 302 and boss 429 versions are released. nice. 2000: mustang svt cobra r race version returns in a limited run of 300 models, wins over my 14-year old heart in "gran turismo 3"
congratulations to ford on the mustang's 55-year production run. please don't ever put it out to pasture like you did to the rest of your cars.